Publisher and editor of "Mac Talla," an all-Gaelic weekly paper in Nova Scotia, beginning in 1892. According to Professor C.W. Dunn "At a time when the Gaelic-speaking people were becoming ashamed of their own language, the paper (Mac Talla) elevated it in their eyes to a position of prestige. Jonathan G. MacKinnon had no cause to feel that his toils and trials had been in vain. Few men could have done more for the language and literature in the New World than he did, and only one - the Reverend A. MacLean Sinclair - did as much." Jonathan G. MacKinnon is currently considered a "single author." If one or more works are by a distinct, homonymous authors, go ahead and split the author. 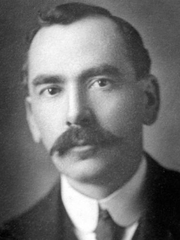 Jonathan G. MacKinnon is composed of 2 names. You can examine and separate out names.